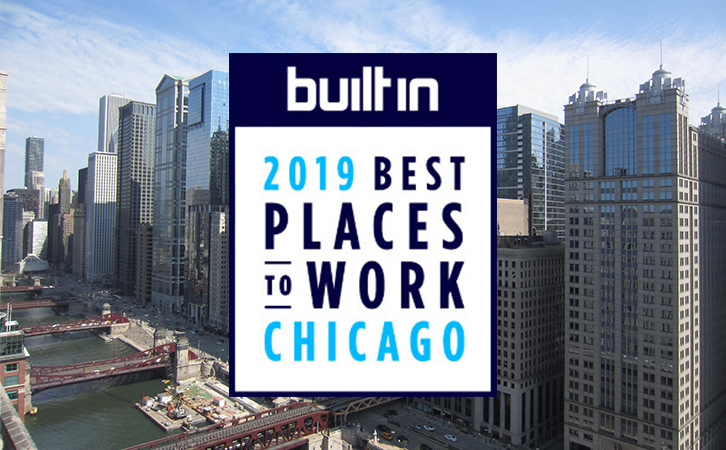 Chicago (January 31, 2019) — VelocityEHS, the global leader in cloud-based environment, health, safety (EHS) and sustainability solutions, has been named a Best Place to Work by Built In Chicago, an online community for Chicago-area technology companies and their employees. The annual list rates companies on their culture, employee compensation and benefit offerings. VelocityEHS stood out for its excellent work perks and benefits, which include top-quality health care packages, generous PTO and paid volunteer time opportunities, as well as engaging professional development training programs. Headquartered in downtown Chicago, VelocityEHS is the largest and fastest growing EHS software company in the world. Through its award-winning, cloud-based EHS Management Software Platform and innovative mobile products, EHS professionals are able to safeguard employees and better understand their complex compliance obligations. With over 14,000 active customers worldwide, more businesses trust VelocityEHS than any other industry software provider. Visit www.EHS.com to learn more. In addition to Chicago, VelocityEHS also has global offices in Ann Arbor, Michigan; Oakville, Canada; London, England; and Sydney, Australia. Its Ann Arbor office was recently named one of the Best and Brightest Companies to Work For® in the Nation, while the Oakville location has been recognized as one of Canada's Top Small & Medium Employers by the editors of Canada's Top 100 Employers at Mediacorp Canada Inc.
To learn more about VelocityEHS’ open job positions, visit the company’s career page. VelocityEHS is headquartered in Chicago, Illinois with locations in Ann Arbor, Michigan; Oakville, Canada; London, England; and Sydney, Australia. For more information, visit www.EHS.com.